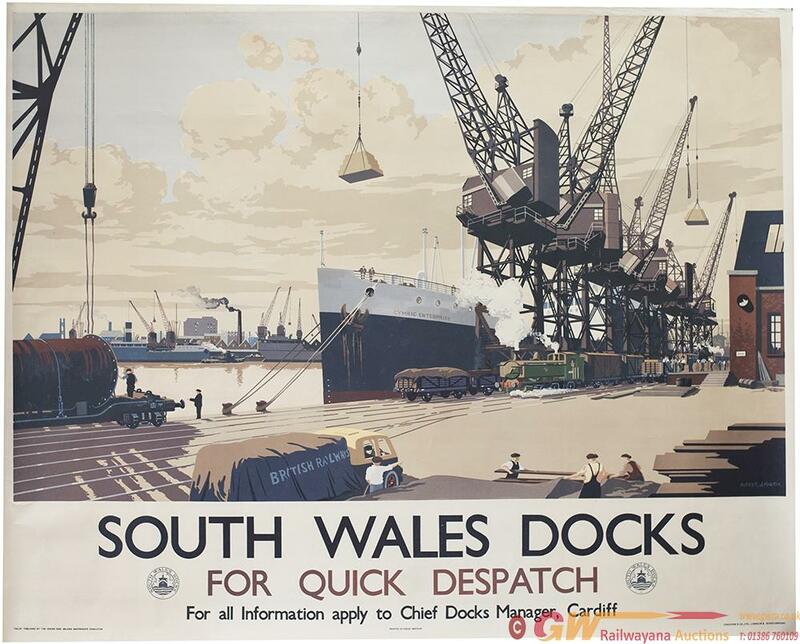 Poster SOUTH WALES DOCKS FOR QUICK DESPATCH by Albert J. Martin. Quad Royal 40in x 50in. Published by The Docks And Inland Waterways Executive. In very good condition.